Being credited with creating the world’s next hottest pepper is a big deal and comes with fame in the chile community. Many growers are continually working on creating the next world record holder. If you have official documents from a lab that has tested your latest hybrid pepper at a higher Scoville ranking than any of the peppers below, please feel free to send me the lab results and I will update the list. There are so many, maybe too many, super-hot hybrids so official testing results are the only way to make sure. 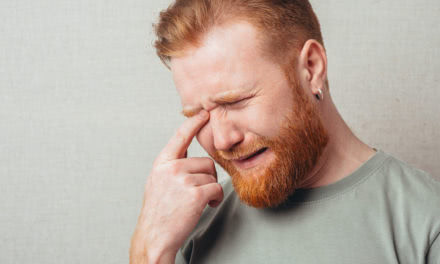 Scoville testing of any pepper is actually fairly easy and inexpensive. Want to know how to get your peppers tested? Check out how easy it is here. 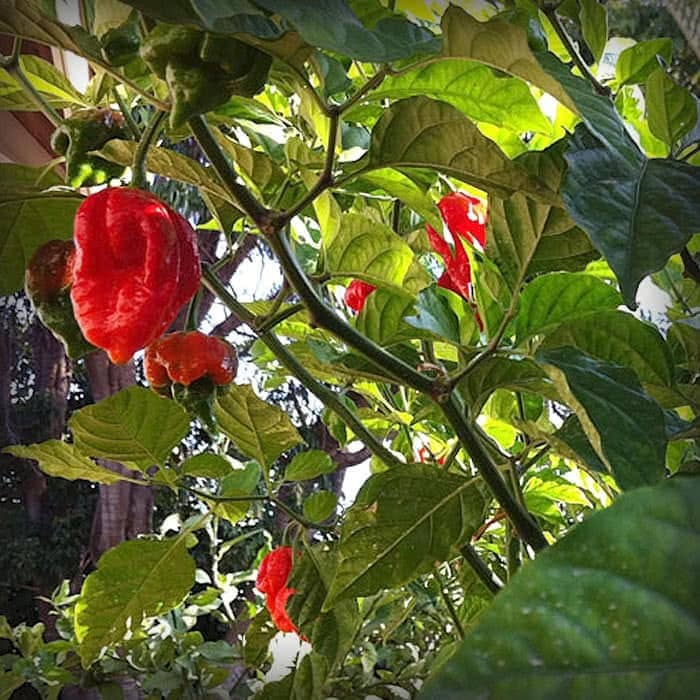 NOTE ABOUT PEPPER X AND DRAGON’S BREATH: In the past year, there have been a couple peppers claiming to be the newest “Hottest Pepper in the World”. You may have heard talk of this Dragon’s Breath pepper. Or heard of Pepper X. Problem is, these new claims to the ‘Hottest Pepper in the World” have yet to back it up. There have been no official lab tests to prove any pepper out there has topped the Carolina Reaper. For the time being, the following are currently the hottest peppers in the world. As of August, 2013, Guinness World Records stated that Smokin’ Ed’s Carolina Reaper® is officially the world’s hottest chile pepper. Originally named the “HP22BNH7”, this pepper is bred by cultivator Ed Currie, who runs PuckerButt Pepper Company in Fort Mill, South Carolina. 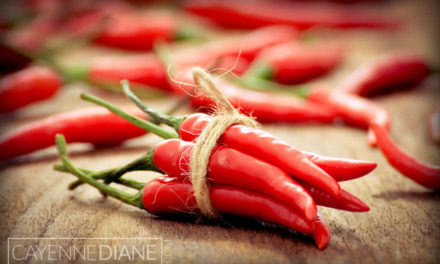 The New Mexico State University’s Chili Pepper Institute identified the Trinidad Moruga Scorpion as the newest, hottest chili pepper in the world as of February 2012. 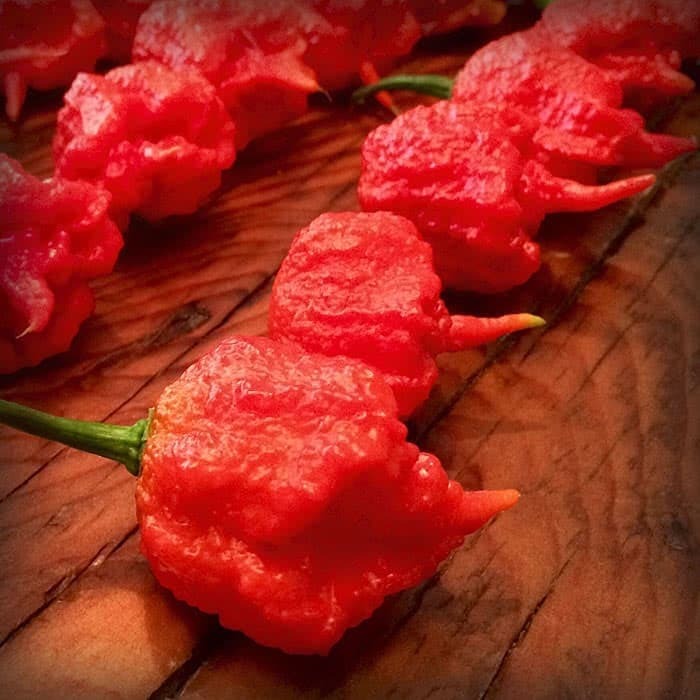 The current world record holder is the Carolina Reaper. 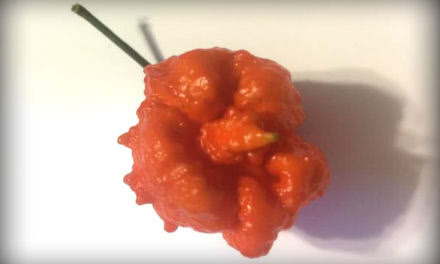 However the Trinidad Moruga Scorpion wasn’t certified as the hottest pepper by the Guinness Book of World Records. From Trinidad. It’s said that one pod will spice seven pots of stew, hence the name. It is a rare and extremely hot chili. The Douglah is characterized by a dark brown or deep purple skin with many “pimples” over the surface. The pepper starts out green and matures to the dark color unique to the Douglah. Created by Troy Primeaux, (nickname: Primo), a horticulturist from Louisiana. He began crossing the Naga Morich and Trinidad 7 Pot seeds around 2005 and has since grown them out for eight generations. The 7 Pot Primo can get very lumpy and distorted and even grow a skinny little tail. Like other 7 Pots it has a fruity-to-floral flavor and is extremely hot. Orange and yellow varieties of this pepper have also been seen. Propagated by Butch Taylor of Zydeco Hot Sauce and grown by the Chilli Factory, the Trinidad Scorpion ‘Butch T’ variety pepper was formerly ranked as the hottest pepper in the world. 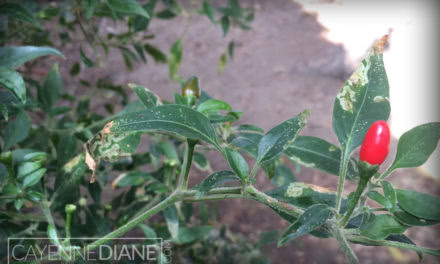 It lost that title to the Trinidad Moruga Scorpion as of February 2012. The latest variation on the 7 Pot pepper is the Komodo Dragon. Grown by the UK’s largest producer of chillies, Salvatore Genovese. In 2012 he gave us the Bedfordshire Super Naga. Salvatore has a seven-acre farm in Blunham, Bedfordshire where he spends his time trying to create even hotter varieties. “It’s the really hot ones that gain the most interest and so each year I try and grow one hotter than the last” said Genovese. 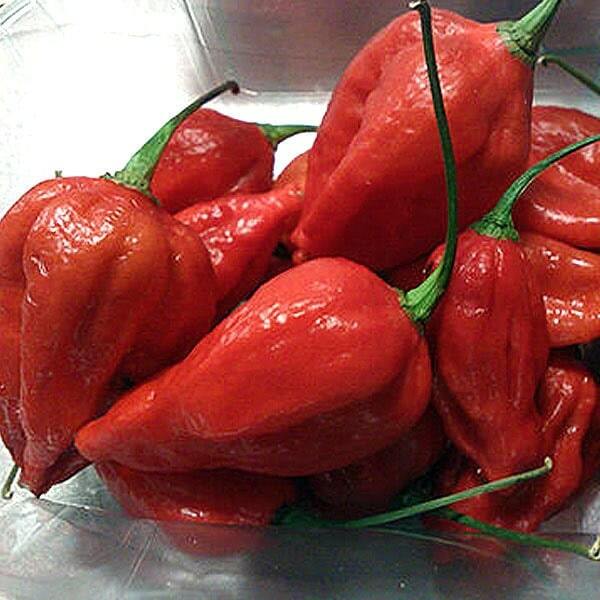 The Naga Viper was created in England by chilli farmer Gerald Fowler of The Chilli Pepper Company, based in Cark, Cumbria. It was briefly the “World’s Hottest Chilli” in 2011 according to the Guinness World Records. It is an unstable three-way hybrid produced from the Naga Morich, the Bhut Jolokia and the Trinidad Scorpion. This variety is not a hybrid (which is created by crossing varieties). Instead, it was developed using selective breeding by saving pods from plants that would produce certain desired traits. In 2010 David Capiello, a well known grower and chile hobbyist from North Carolina, obtained 7 Pot seeds from another grower in Trinidad. This chili pepper is believed to be closely rated to the Trinidad Moruga Scorpion. This 7 Pot variety comes from the region of Barrackpore on the Caribbean Island of Trinidad. The Trinidad 7 Pot Barrackpore has an elongated pod structure sometimes similar to the Bhut Jolokia. 7 Pot Barrackpore bears somewhat larger and more wrinkled pods as compared to the regular 7 Pot. Some think this chile is the missing link between the 7 Pot and the Bhut Jolokia (Ghost Pepper). It has a nice fruity flavor like other 7 Pots and is a heavy producer. The 7 Pot Jonah is a larger plant that produces larger and rounder Trinidad 7 Pot strain pods. It also has a fruitier flavor than the standard 7 Pot and with that, higher heat. 7 Pot Jonah can get larger than a golfball and weigh up to a half ounce. The peppers mature from light green to red. The surface of pods are pimply and lumpy with some even growing little Scorpion tails. The Infinity Chilli pepper is a chili pepper created in England by chili breeder Nick Woods of Fire Foods, Grantham, Lincolnshire. It held the World Record for the world’s hottest chili pepper for two weeks in 2011; before it was ousted by the Naga Viper chili. The UK’s largest chilli grower, Salvatore Genovese, whose farm is in Blunham in the county of Bedfordshire, produces 500,000 chilli peppers every week. Genovese unleashed the Super Naga in 2012 and it was sold exclusively by Tesco. Currently he is producing the super hot Komodo Dragon, one of the hottests peppers in the world.